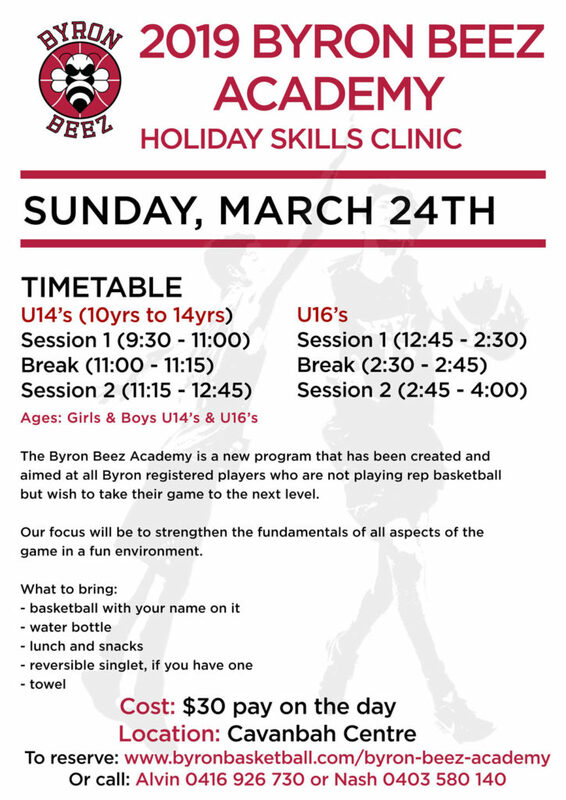 The Byron Beez Academy is a new program that has been created and aimed at all Byron registered players who are not playing rep basketball but wish to take their game to the next level. Our focus will be to strengthen the fundamentals of all aspects of the game in a fun environment. Reserve your spot for our March 24th clinic below. See you there. Byron Bay Basketball is authorised to obtain medical assistance required in the event of any unforeseen accident or illness and I agree to meet any expenses attached hereto. I accept full responsibility for my child/ren’s behaviour during the program and in the event of misbehaviour I will be contacted and asked to collect my child/ren. This clinic is for those athletes with a genuine interest in furthering their game.